Leadership has remained relatively unchanged for decades while the world we live in changes almost daily. 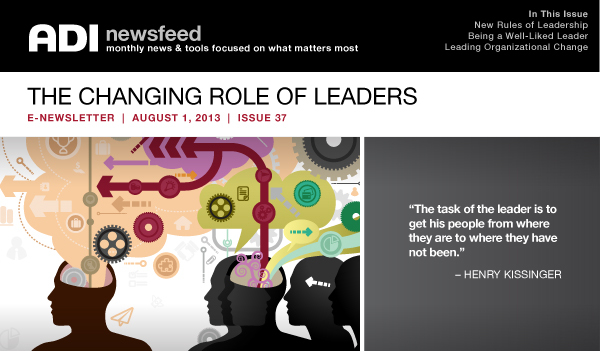 The time has come for leaders to evolve and support the new way things are done. The following resources are offered to provide you with insights and perspectives that incorporate the knowledge and understanding of human behavior to help you grow your leadership skills and strengthen your impact on those you lead. Relationships at work are different than those you have with friends and family but that doesn’t mean the same rules don’t apply. Good, positive relationships do make a difference in business. Good relationships lead to happier, more satisfied work lives and create environments that bring out the best in people. Some managers, however, think building positive relationships is as simple as a quick thank you or a pat on the back. Those words or actions won’t mean anything if the person providing them is not liked by the person receiving them. Learn what you can do to become a positive reinforcer to those around you, and how that leads to building better relationships. In today’s world, fueled by advances in technology and information, the pace of change is rapidly accelerating. Demands are hitting businesses, employers, and managers alike. For leaders, one particular challenge is holding on to top talent. In this Forbes.com article, learn how leadership must adapt to cultural changes hitting the workplace and what can be done to retain high performing employees. These tips will help you practice and develop the skills necessary to be a 21st century leader. CEO Blog Nation asked business owners to give their take on the qualities that make a leader great. Hear from numerous contributors, including ADI’s very own Aubrey Daniels, who emphasizes the importance of being well-liked. A leader’s goal is to create willing followers and being well-liked is the most effective way to do your job and help others be successful in theirs. Learn questions you, as a leader, can ask yourself to find out how you are performing and what areas you can focus on for improvement. Three of our best-selling leadership and management books are featured in this specially priced kit. 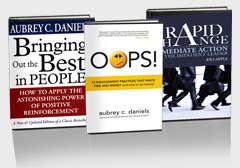 These books are perfect for corporate executives in charge of leading others or anyone interested in how behavioral technology can improve their management skills. As part of efforts to create sustained culture change, M&T Bank partnered with ADI to administer its Precision Leadership Survey to almost 700 managers. 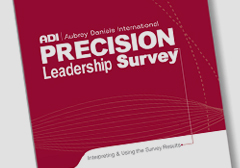 Learn how this survey, coupled with ADI’s debriefing process, became a highly valued tool for management development, coaching, and increased employee engagement. 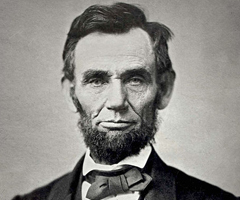 Almost 150 years after his death, Abraham Lincoln is still remembered and revered as a great leader. This blog post identifies the key qualities of a good leader and how Lincoln embodied them during his presidency. Join us in Atlanta for this widely popular 5-day seminar. 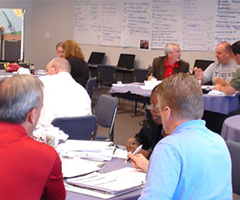 Our highly rated instructors deliver behavioral applications and individualized practice in performance management. Get the tools you need and learn how to apply them successfully in your own work setting.